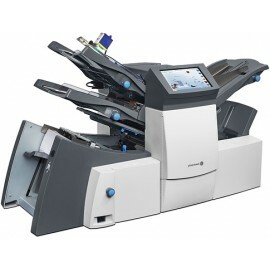 The RELAY 2000 effectively responds to the needs of companies for sending low and medium volumes. When your Mailstream is moving, your business is moving. 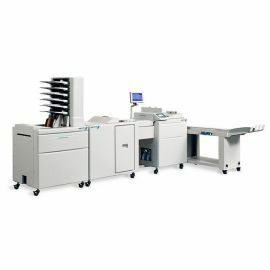 Improve your customer communications with a RELAY 2000 OfficeRight® Inserter - the best solution for the low to mid-volume mailer. 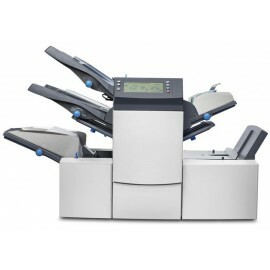 Capable of handling 3,000 pieces an hour, it makes applications such as bills, statements and direct mail quick and easy. 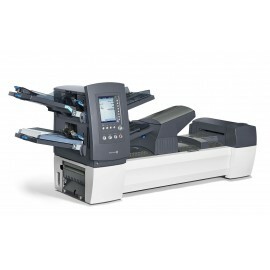 The RELAY 2000 is built for low to mid-volume mailers, giving you flexible performance in the office environment. 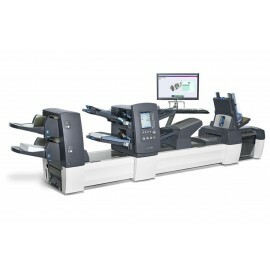 Configurable to your needs, it folds and inserts up to 3,000 pieces of mail an hour, that's 12 times faster than by hand. The operator friendly controls let you load and run up to 20 pre-programmed jobs letting you get back to your job. 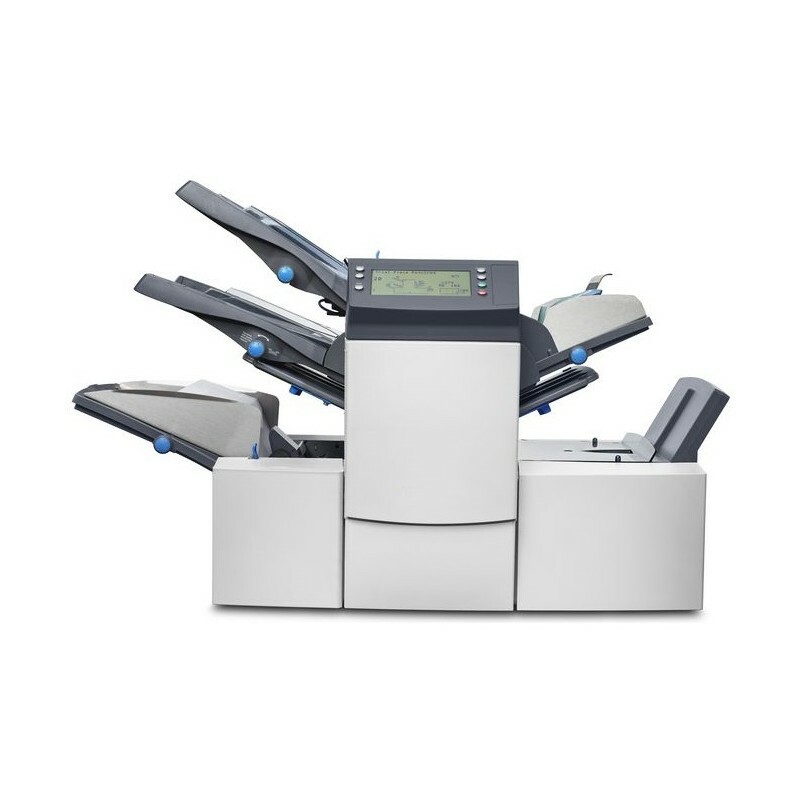 Choose the RELAY 2000 OfficeRight® for common applications such as bills, statements, direct mail and reply envelopes. Optical Mark Recognition (OMR) capabilities are available to ensure customers receive the correct documents. Optional integration with a DM Series™ Mailing System allows for the mail to be assembled and postage to be applied in one seamless process - giving you uninterrupted time to develop new business. 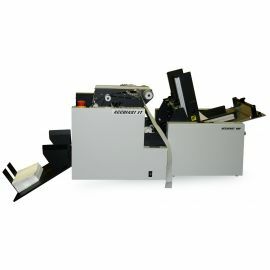 - Versatile - great solution for bills or statements direct mail and reply envelopes and variable length documents. 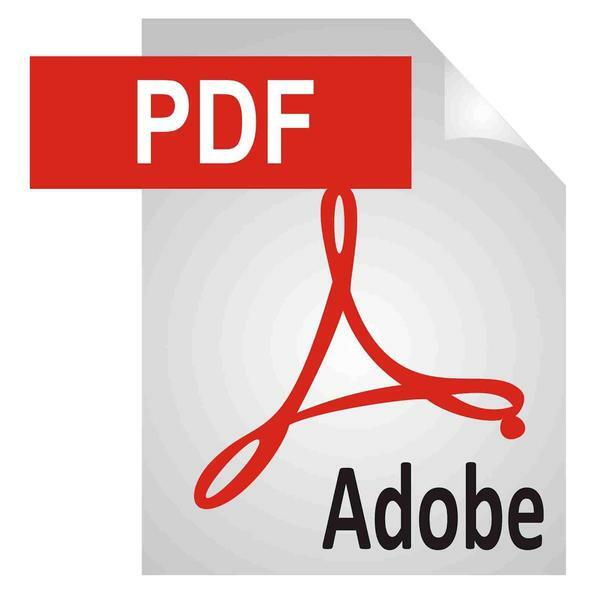 - Eliminates costly preprinted forms - the OMR ready-to-go templates or automatic importing reformatting and sorting capability make nearly every job hassle-free. 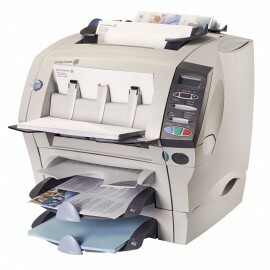 - Stops manual folding - manual feed on daily mail mode processes up to five pages stapled or unstapled. - Saves time - up to 20 common applications can be programmed. - Speeds cash flow - invoices that are sent out faster bring cash back faster. - Prevents costly errors - built-in double-detection on all feeders auto stop clear deck and auto page separation. - Trial piece required on start of every job to ensure job setup meets requirement. - Adaptable operation friendly - 14 language choices ensure ease-of-use for a diverse workforce. - Optional OptiFlow Power Stacker allows you to load and unload while machine is running leading to productivity and efficiency.